You'll be £10.00 closer to your next £10.00 credit when you purchase The Arrow of Sherwood. What's this? Robin is compelled by a neighboring lord to condemn his childhood friends for a crime they did not commit, he realises that he must choose between the need to regain his lost inheritance and his desire to help the commons of Nottinghamshire. romance and adventure, this novel will excite and enthral. Sometimes you read a book so captivating that you start to perceive the mundane elements of life as getting in the way of you finishing your book. 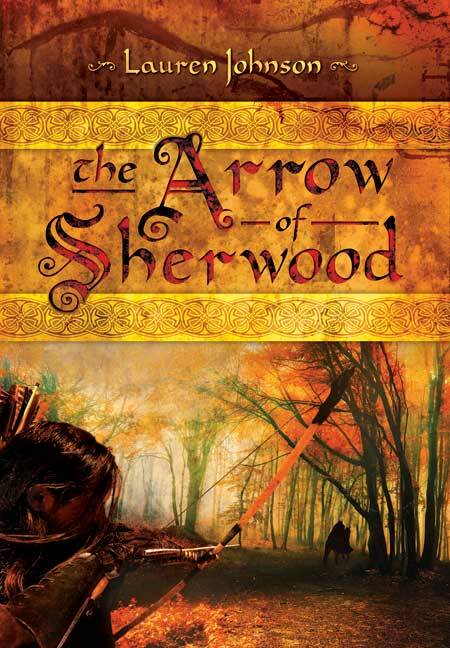 For me, 'The Arrow of Sherwood' was more interesting than getting to work or falling asleep, and so I gave into temptation and just read as much of it as I could in single sittings. What makes this book such an addictive and absorbing read are two elements that can make or break any historical novel: historical accuracy and believable characters. Johnson actually combines the two; she makes characters that are believable in their own historical context. [She] masterfully forms a vivid and colourful medieval England that is as important a character in her book as any of the protagonists. This new version of the Robin Hood legend kept my attention and interest with every turn of the page. Read it and enjoy! From the first chapter this book draws you in to a historical world that is far removed from the Disney-esque version of Sherwood we are familiar with. Using her knowledge of the period Johnson creates a finely drawn cast of characters whose adventures, loves and loyalties are given an authentic depth, while writing with a lightness of touch that keeps the plot zipping along. A delight to read! Writing and telling stories has been Lauren’s passion since she was a child. Since graduating in History from Oxford University she has pursued her interest in story-telling in her role as Research Manager for a historical interpretation company based at heritage sites including Hampton Court Palace, Dover Castle and the Tower of London. There, she had plenty of practice at immersing visitors in a living historical world – a skill she has now brought to the world of historical fiction in her first novel.